When you reach novice level dressage, you will be required to perform 10-meter circles. Although this may sound straightforward, there’s more to executing this movement correctly than you might at first think. So, how do you ride a 10-meter circle that will impress the judge and get you a good mark? What makes a good 10-meter circle? Before you start, visualize how you would like to be seen from the ground, riding a small circle. You are expected to have even bend (think of an imaginary line) through the horse’s body, from the tail, centrally through the hindquarters, through the back and shoulders, through the neck, and finishing at the poll. There should be no tilting of the head. 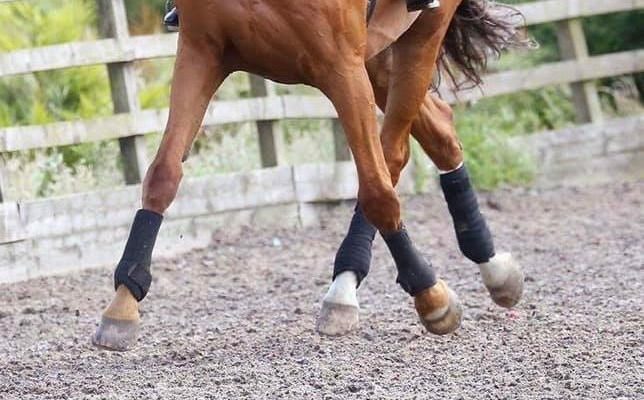 This is quite a small diameter, so it is the rider’s job to choose exactly the right tempo (speed of the rhythm), whether the horse is in walk, trot or canter, to enable the horse to manage the rhythm and bend without any disturbances or unevenness to the stride length. To ride a 10-meter circle on the left rein at B in a correctly measured and marked arena. From the track to the center line is 10-meters; this distance is the diameter of the circle. Halfway from track to the center line becomes the middle point of the circle – this is the radius (this line is also known as the quarter line). Imagine standing on the point which marks the centre of the circle, facing the short end of the arena. Mark out 5-meters. Stand at the central point of the circle again, turn around and look to the other short end of the arena. Mark out 5-meters. These two 5-meter lines form the other diameter. At both ends of the two diameters, place an imaginary point. Now visualize yourself riding from point to point, as these points will join together and form the circle line. The secret is to know exactly where the unmarked lines are, for example, the center line, the ¼ and ¾ lines, and to know exactly how many meters are between the markers. 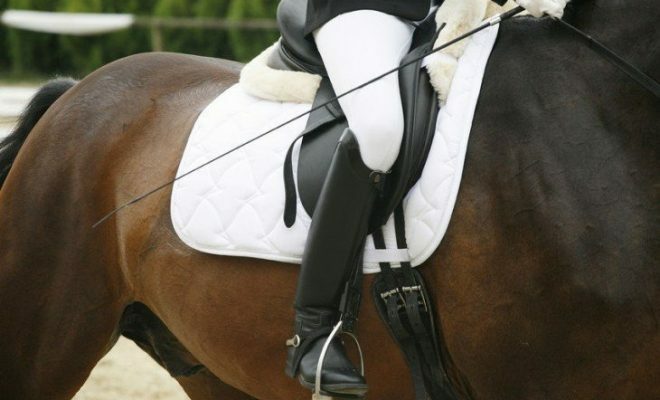 Now that you have mastered riding an accurate 10m circle, you can concentrate on the horse’s way of going. Now the rider must know what ‘form’ they want from the horse. This means, that although the diameter is quite small, the horse must be in an appropriate rhythm (tempo) and with the required amount of suppleness to enable him to keep the rhythm. If the horse lacks suppleness, it will not be possible to join the circle points. Therefore, the horse could fall in or out, or both, to give himself more space. If the horse does not fully understand how to stay into the bridle and contact, this can cause mistakes in terms of keeping the balance and maintaining even steps around the circle. When you are familiar with the imaginary circle points from the outer track, you can increase the level of difficulty by riding a 10-meter circle around L, X or I (the markers on the center line of a 60-meter arena – or, just X, in a 40-meter arena). The principle of marking out two 10-meter diameter lines that cross through the central point (in this case L, X or I) is the same, but on this exercise, there is no outer track to lean on. Therefore, there is no hiding from the subject of the horse’s balance and self-carriage. If the horse lacks balance, he will lean towards one of the tracks, or he will become crooked as indicated by the hindquarters and/or the shoulders falling in or out. Correctly ridden small circles like this, are very good exercises for building the impulsion, balance, and therefore engagement. 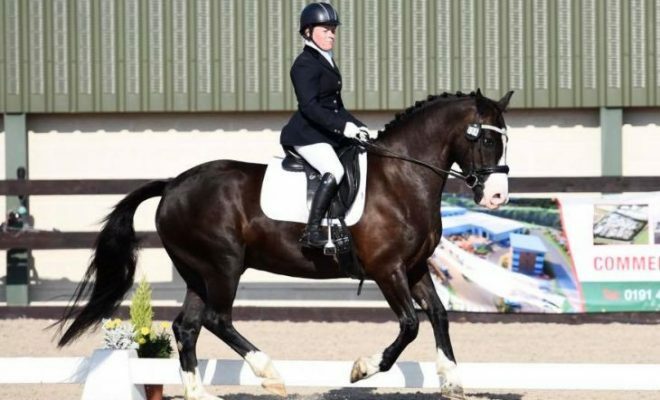 From these qualities comes the improvement in the ‘way of going’ and, from this, the high marks in a dressage test. Finally, a circle of this size can and should be ridden in trot and canter. Riding a good 10-meter circle in walk, trot or canter is not as easy as it might at first sound. 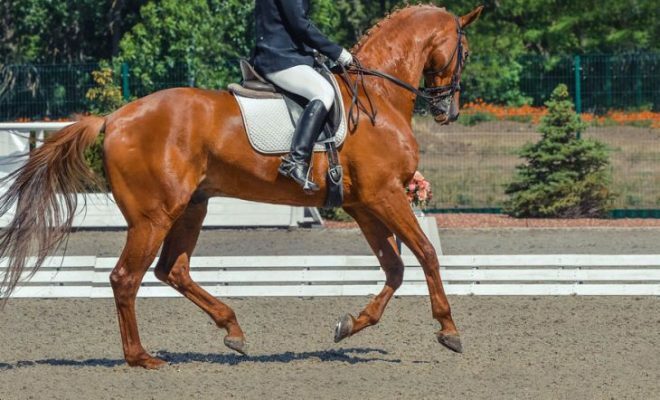 The circle must be accurate in order to demonstrate that the horse is supple and connected enough to negotiate the movement without losing his balance and rhythm. 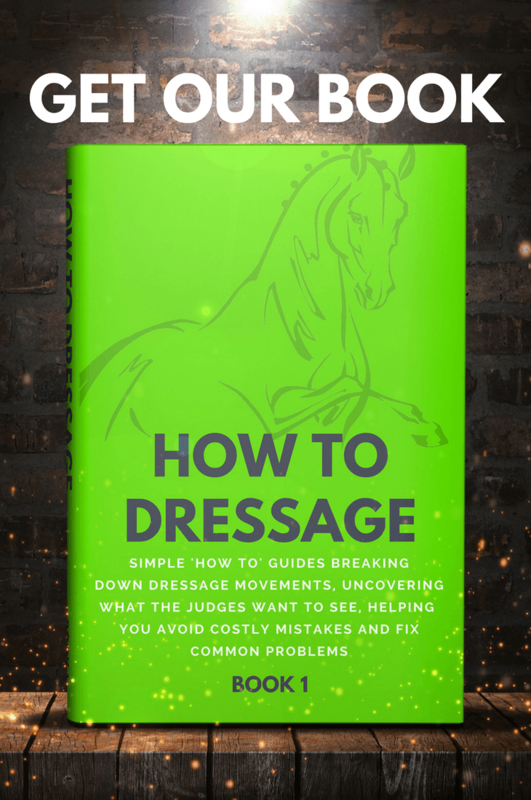 Use the exercises above to achieve all these things and you can look forward to being rewarded with high marks in your dressage tests.